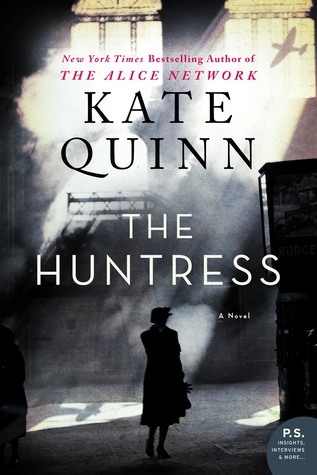 Kate Quinn is the New York Times and USA Today bestselling author of historical fiction. A native of southern California, she attended Boston University where she earned a Bachelors and Masters degree in Classical Voice. She has written four novels in the Empress of Rome Saga, and two books in the Italian Renaissance, before turning to the 20th century with The Alice Network and The Huntress. All have been translated into multiple languages. Kate and her husband now live in San Diego with two rescue dogs named Caesar and Calpurnia, and her interests include opera, action movies, cooking, and the Boston Red Sox.